Equine Podiatry is holistic hoof care. It is not just about trimming the hoof, but about considering the whole horse, its diet, environment and workload. It is so much more than just barefoot trimming. As an Equine Podiatrist, as well as applying a suitable trim, I analyse the environmental factors affecting the hoof and make recommendations to the owner regarding any changes that might lead to an improvement in overall hoof quality and health, these changes may include changes to what goes into the bucket, what the horse walks on, what the horse wears, how often and where it is ridden. I may also refer the owner to professionals in other fields, such as vets, chiropractors, massage therapists, nutritionists, and even occasionally, farriers. See what to expect from a consultation for more details. I am also part of the Horse Charming coaching team and can help with behavioural issues, either face-to-face or via video coaching. Please see the linked Horse Charming website for more details of this service. Located where I am, in the Vale of Evesham in Worcestershire, I am ideally situated for access to the Cotswolds, Malverns and West Midlands. I am happy to travel up to 25 miles from Evesham (WR11) reaching the counties of Gloucestershire, Oxfordshire, Warkwickshire and of course, Worcestershire for no additional cost. If you are outside of my normal area, I may be able to come to you but will need to charge a small fee for mileage. Please see my Charges page for more details. 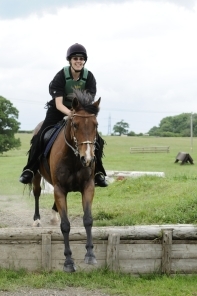 www.goodhorse.co.uk is a directory of equine services in your area. Whether you are looking for a farrier, saddle fitter, vet or equine dentist, you will find everything there.